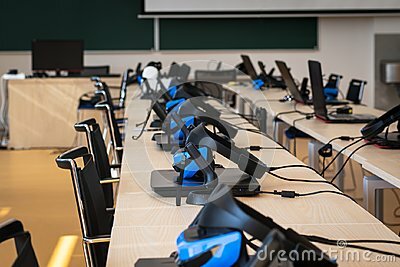 Close up of many virtual reality VR sets in a classroom - headset, controller and computer. Close up of many virtual reality VR sets in a classroom - headset, controller and computer. Gamer space, innovation or modern education concept.